First State Rehab at Home (FSRAH) provides in-home physical therapy and rehabilitation services to seniors in Wilmington, Delaware and the surrounding communities of Kent County and New Castle County. Our team is lead by husband and wife, Tom & Deborah Gangemi who collectively have been physical therapists for over 60 years. Since relocating to Delaware, their mission is to help patience regain strength and independence in their homes using a hands on and personalized approach. Tom, Deb and the other therapists at FSRAH use advanced physical therapy techniques to restore mobility, promote pain relief, reduce swelling, and reduce the risk of falls and injury. 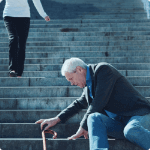 We primarily target chronic conditions and diseases such as, Parkinson's Disease, Lymphedema, Arthritis, Back Pain, Balance Disorders, Hip Pain, post-surgical procedures, and injuries suffered from falls or auto accidents. Physical therapy is a safe, natural way to provide pain relief and restore your independence. Make the right choice for you or the ones you love and call us today to setup your free phone consultation. We are ready to help our patients restore their lives to the way it was before! You have more options than ever for the day to day aches and pains. When combined with monitored physical therapy, you can use all of the following tips to relieve the symptoms while improving the strength and the mobility of your muscles. Sign up to receive our blog posts directly in your inbox! You can expect just 2 emails each month to help you live a better life!